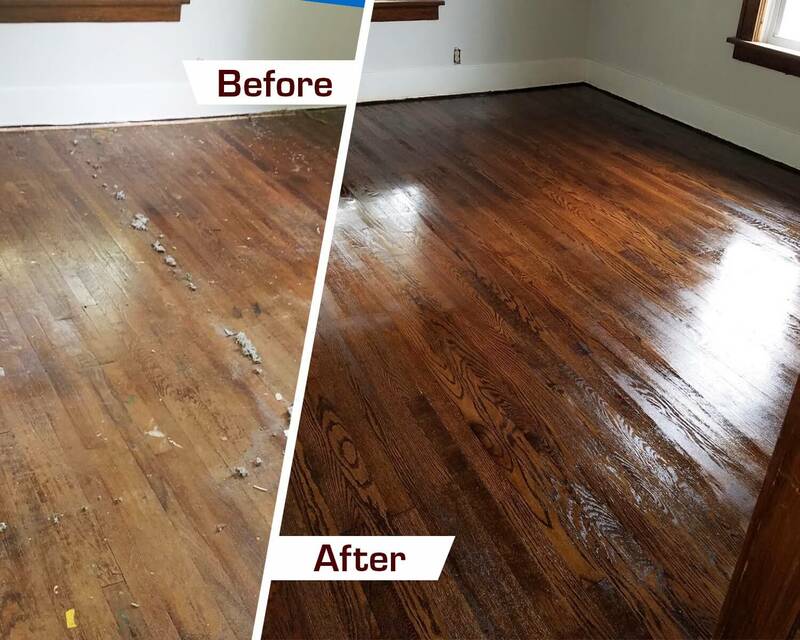 Is it about time you did something about your worn-looking hardwood floors? You have another alternative other than paying a fortune to completely replace them – get them refinished with Fabulous Floors Oakland-Macomb! We have been in the hardwood floor industry for many years and have locations across the country. Take advantage of hardwood floor refinishing in Franklin, MI from our professional team of experts. Our technicians promise to go above and beyond in all that they do and deliver results that you’ll love. Get in touch today to start your next hardwood refinishing project! We have perfected the art of hardwood refinishing and are excited to work in your home. Our entire process is completely GREENGUARD Certified and can be completed in just 1-2 days. To begin our hardwood refinishing process, we use our powerful sanding machine to sand down your hardwood floors. Most of your scratches, dents, or dings will be eliminated during this step, and our sanding machine creates virtually no dust. Next, we use one of our beautiful oil based stains to stain your hardwood floors. We’ll help you select a color that is just right for your home. Lastly, we apply our long-lasting polyurethane finish to help protect your floors against future damage.